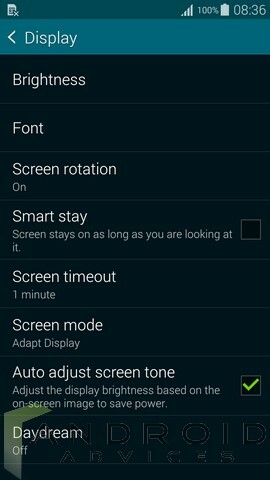 The larger the screen, the harder for you to read the smaller text and you could just pinch out in the browser to zoom into the text and read, but that isn’t possible in all the apps, because the zooming is mostly possible only in the browsers and in the apps such as Messaging. 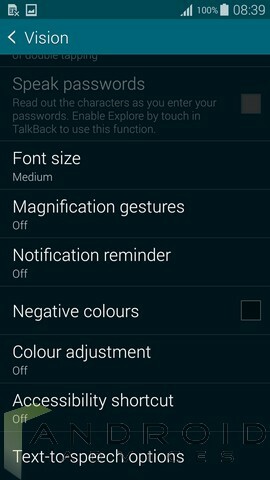 For you to see large text everywhere, there are options such as Font Size and Magnification available in the Settings on the Galaxy S5 (read: Capture screenshot on Galaxy S5). 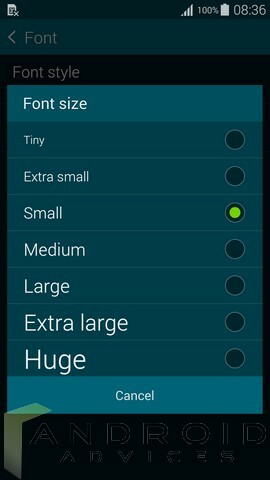 Both would take you to the same section where the font size can be toggled, from Tiny to Huge, including Tiny, Extra Small, Small, Medium, Large, Extra Large and Huge and this good for those with not a very normal vision and those who wanted a bigger or smaller text to read. 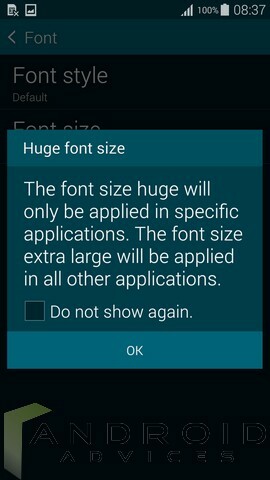 If at all you selected the Huge font size, this would be applied to specific applications, and the font size extra large will be applied in the other applications where the Huge size isn’t applied, so you at least would be getting the text in a bigger size than normal. 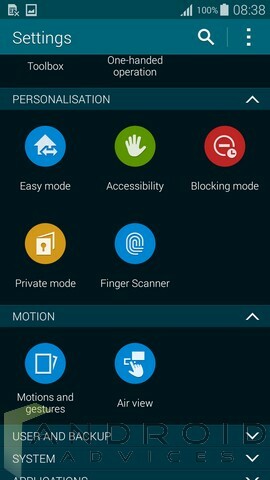 Go to Settings > Personalization > Accessibility > Vision > Magnification Gestures and you would be seeing a set of instructions and functions if you are turning this feature on. This magnification would work anywhere, except on the keyboard where you cannot zoom and it remains the same. 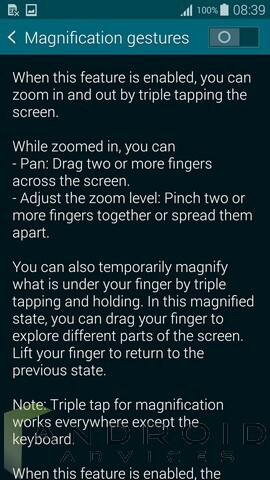 It seems to be a pretty cool option for those who wanted to get into the details clearly by zooming into the picture. 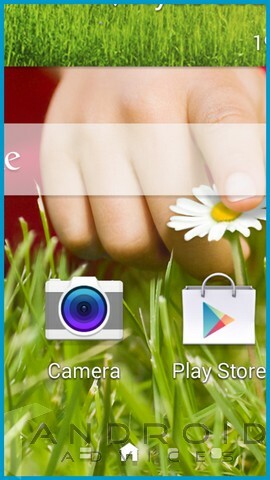 Below is the picture showing the zoomed in area on the home screen. 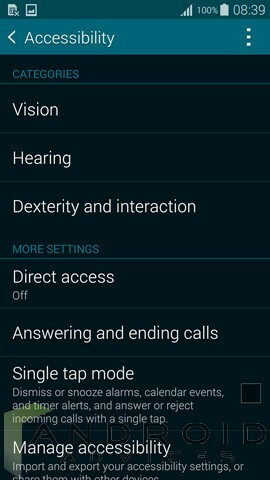 These two were pretty simple options, but very important ones where you could take much advantage of the zooming options in the device whenever needed. 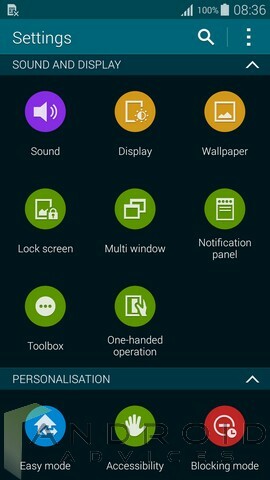 Check out the Samsung Galaxy S5 section for more such tips and tricks, and if you still are wondering if this is a device worth the price, it now is because of the price drop.